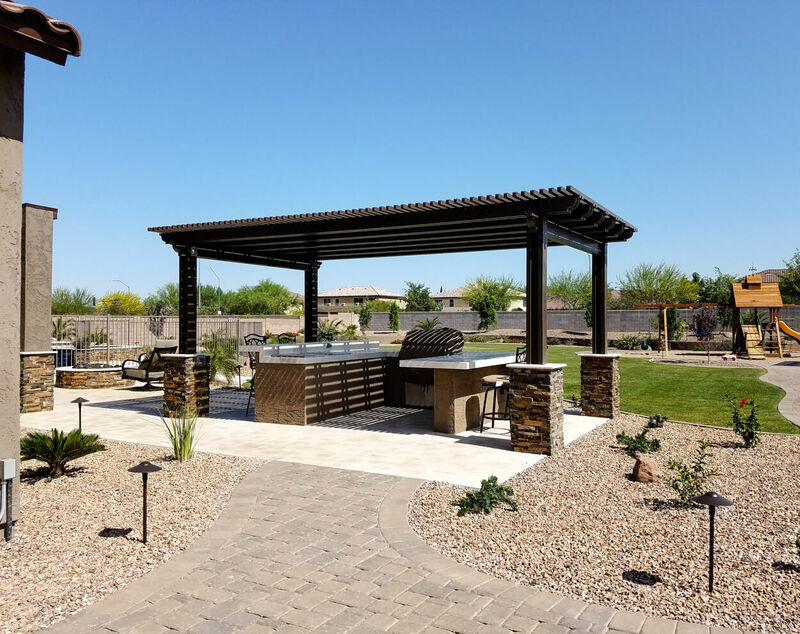 Whether you’re hosting an outdoor BBQ and pool party for the whole family, or grilling New York strip steaks for a quiet meal for two, we can build your custom outdoor kitchen exactly the way you want it. With experienced masons and designers working on your project, every aspect of the kitchen will be polished and professional. 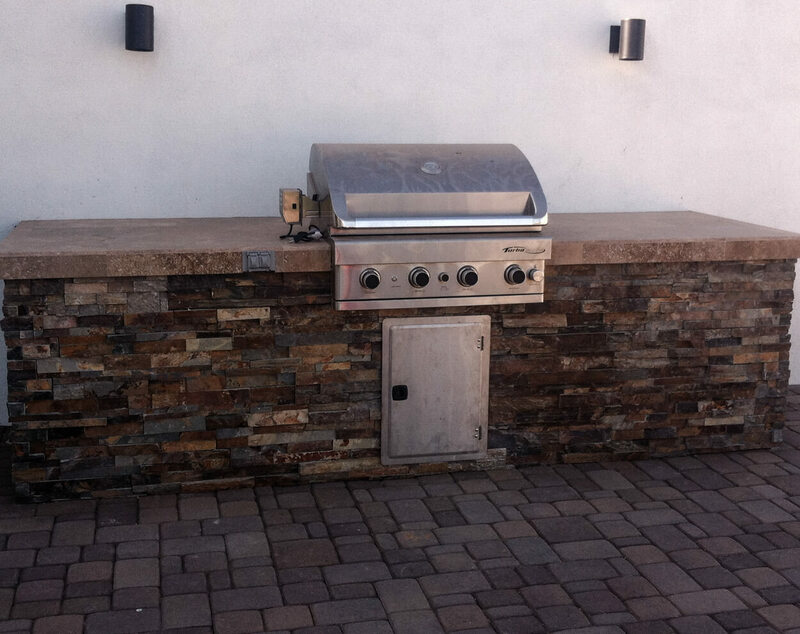 Every BBQ and outdoor kitchen we build is custom, with no two alike. 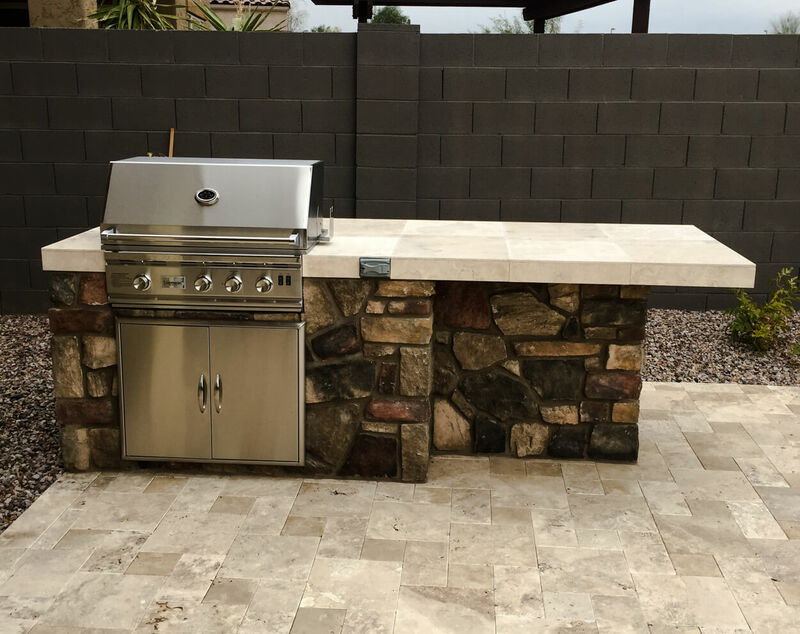 From appliances, amenities, seating, materials, gas, electric or charcoal, we can build your outdoor kitchen to meet your needs, with a clean professional finish that will have you grilling outdoors more than ever before. Hosting A Party or Dining Alone? 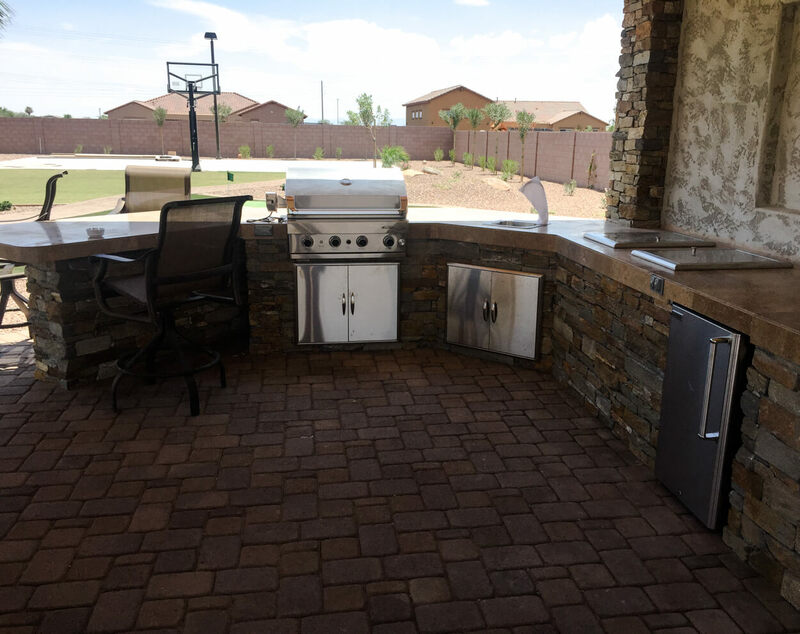 How are you going to use your BBQ, grill or outdoor kitchen? 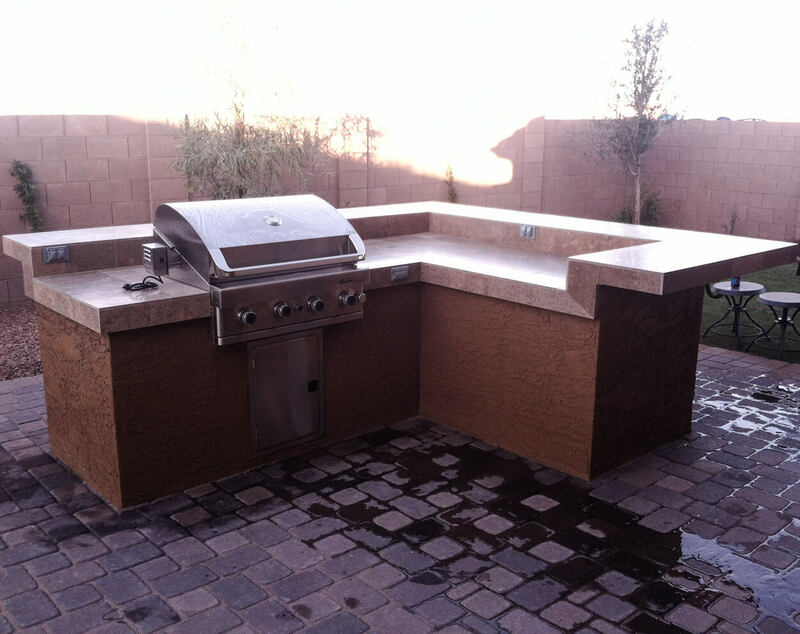 We usually start by having you select the BBQ, grill or cooking setup, then design your kitchen around it. 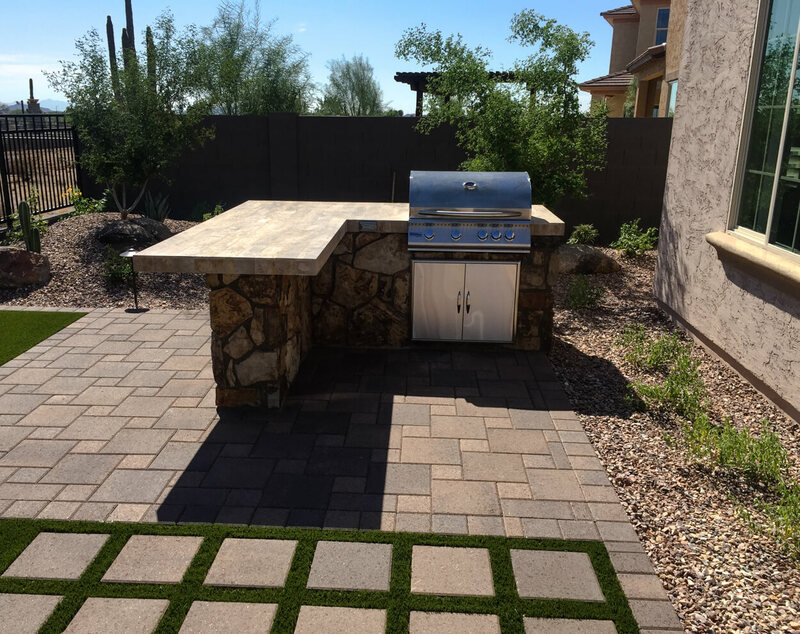 From a one-person cooking station, to areas that can accommodate your friends and family, we will create the perfect BBQ area for you. 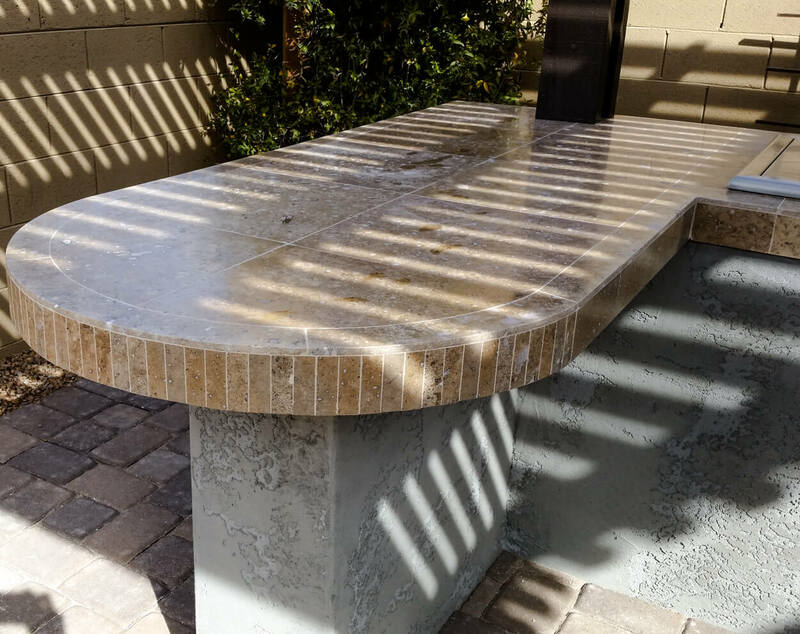 Straight Line can create extra seating and even formal dining space so that you can enjoy your Al Fresco meal alone or with fifty friends. 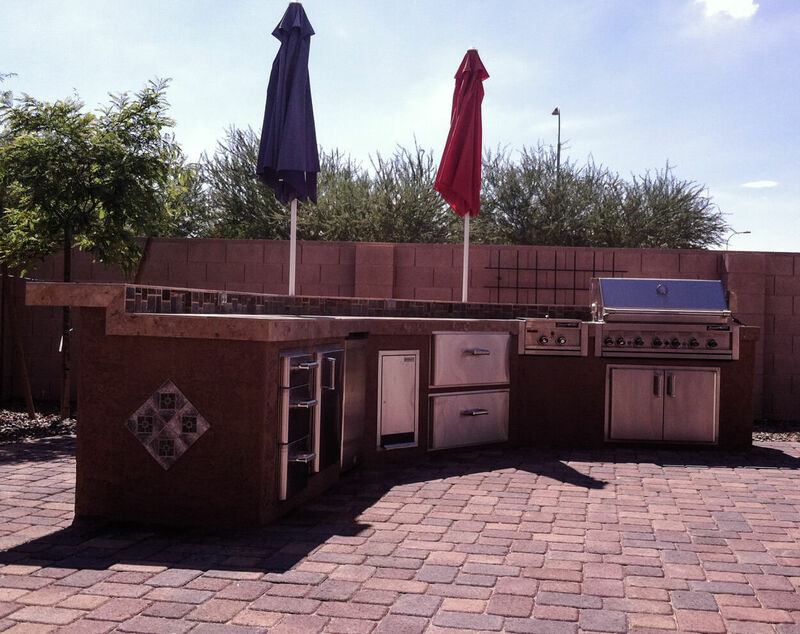 What will your outdoor kitchen look like? Simple: Our simple kitchen designs feature a single cooking station and a little countertop prep space. 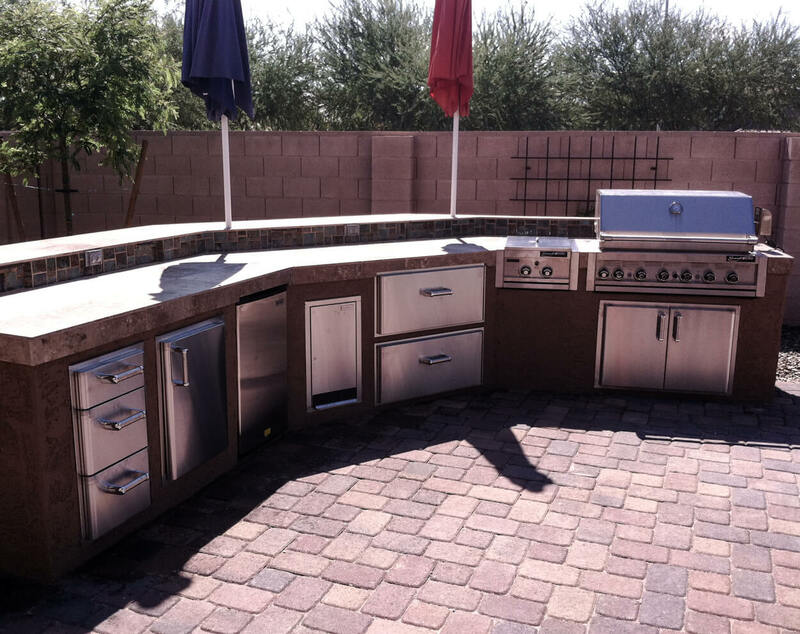 Average: Most people opt for a middle of the line outdoor kitchen, with cook space, counter space, and little bit of seating. Elaborate: These spaces are party ready. You can prepare a full meal in the elaborate prep station, and you’ll have enough dining and seating space for all your guests. Whether you choose to go with a simple design, or need a space for your formal events, we will create the custom space for you. 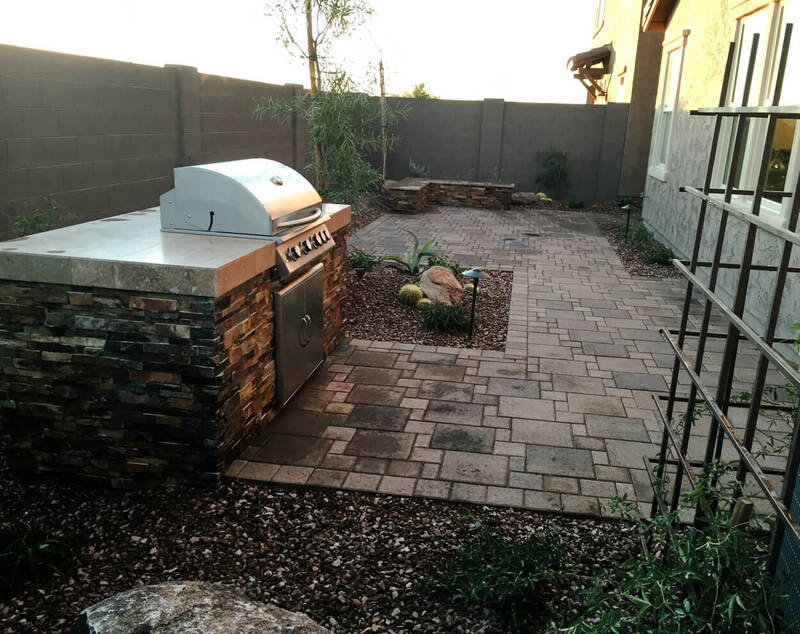 With outstanding craftsmanship and eye for detail, you’ll be glad you went with Straight Line—you’ll notice the difference from start to finish. You can choose from an almost endless list of appliances, and we can build everything you’ll need right in. 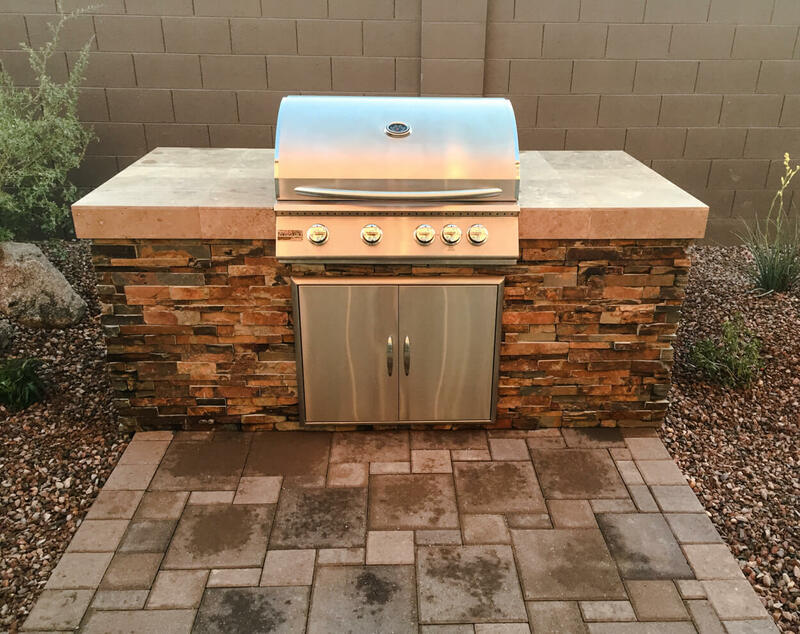 Of course you’ll need a cooler and an icemaker to stay cool in the hot Arizona summer, add a Green Egg, smoker, grill, single burner or even a full range, and you have a kitchen ready to please. 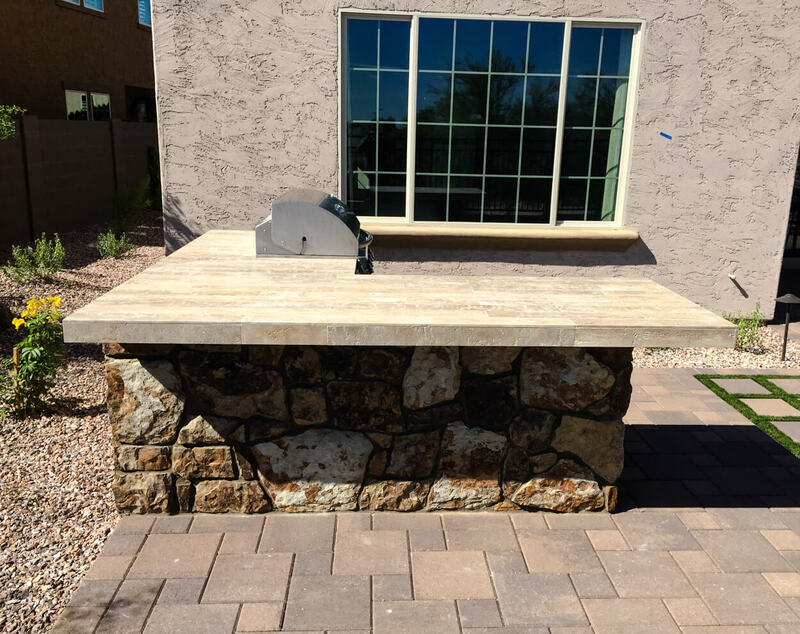 Why not add a pizza oven for fun, or maybe a sink for convenience; it’s the outdoor kitchen of YOUR dreams, so create it. 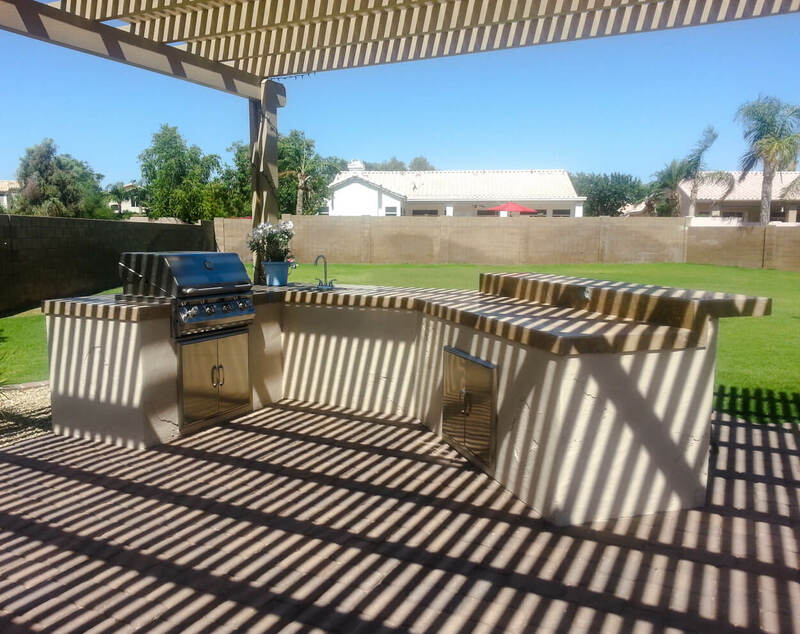 You don’t have to cook indoors ever again! What you’re really paying for is hiring quality people who know what they’re doing. Many of their crews have been with them since the 90’s.